The ROF Finale Concert was an evening for the ages, and now everyone can enjoy ROF's finale performance on this brand NEW DVD! From the opening chords of Tempest, to the final notes of Celtic Farewell, this 2-hour Ring of Fire Finale concert represents eight years of dedication, expertise and performance excellence. Special guest artists include Portland Taiko with a premiere performance of handbells and Taiko together on one stage. This exciting DVD let's you journey along with the ROF as they travel to some of their most exciting engagements during their 2001 season! Whether it be their tour to Washington, DC for their multiple performances at the Presidential Inauguration, their tour to California including the Crystal Cathedral and KTLA-5 live TV performance, or their NBA Trailblazer basketball game engagement, you will feel like you were there with the group! We had a video team accompany the group on these adventures, tagging along as the group traveled by plane and by bus, to let you see into the lives of these crazy energetic kids. You will see behind the scenes footage, interviews, still photos, and more. Plus a complete concert videotaped for your viewing pleasure, you won't want to be without this DVD. 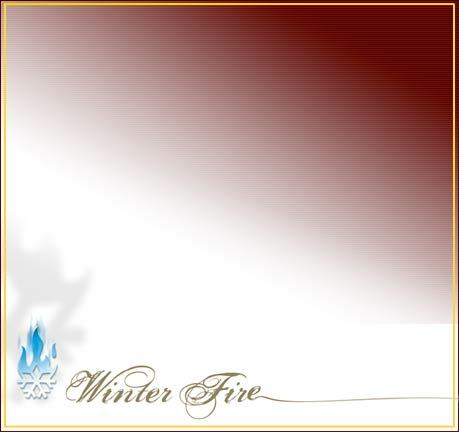 Ring of Fire is excited to announce the release of Winter Fire, a collection of their favorite songs of the season. 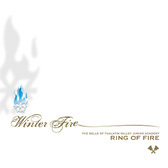 Escape with Ring of Fire into a crystalline wonderland scattered with drifting snow. Yet despite the season, the trademark fire still burns bright. From the opening driving rhythms of O Come O Come and the breathtaking beauty of What Child is This, to the playful variations in We Wish You, ROF brings their favorite songs of the season to warm your hearts. As a bonus, they have included several of their most popular songs, including the exciting Firedance! This CD is packed with the energy and enthusiasm Ring of Fire is known for. It includes Kevin McChesney's Capriccio and his most incredible Tempest. Woven within the fire and thunder are the groups most favorite Nocturnes and moments of tranquility. This CD contains some of our most popular songs performed over the years at many of our concerts. We are sure you will enjoy the results and want to add this new CD to your handbell choir music collection! Digitally recorded and edited for high quality superb results! Click here for more info about the CD, song track listings, audio sample clips, and how to purchase it.